Get out of balance! More is better, less is nothing. People that are trying to convince you to slow down and not work so hard want you to live a mediocre life. To get something, you have to do something. Most people don’t want to have problems; instead, focus on wanting better problems. Doing too much will not fail you, doing too little will always fail you. 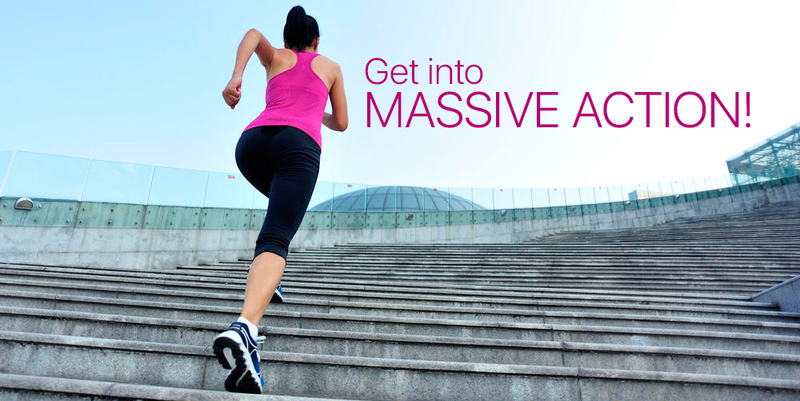 Go massive, or you end up passive. Decide to produce something. Production builds confidence, creates security and gives people a sense of hope. Produce it in massive quantities! When you start getting criticism, you’re on the right track. “You’re working too hard, working too many hours, going too far!” People who tell you these things are mediocre and can’t reach up to more. Take MASSIVE action so you can get new problems! Don’t put too much attention on too little. Make extraordinary and unreasonable amounts of action. If you haven’t gotten the result, you’re not doing enough. Do anything it takes to get the result. Don’t abandon those people in your power base. You can do things with your power base that you can’t do with unfamiliars. Make your list FIRST. Then, make contact. Don’t sell them something, the purpose is to renew your power base. You’re not just selling to them, you are selling solutions to their problems. 10 of your friends x 3.8 average people in household = 38 people who could buy your solutions. Complaints are one of the most overlooked opportunity for a sale. Use problems as a way to create opportunities. People find comfort in familiarity. Customers love it when you already know what they expect! Stay in touch with the people in your power base, especially past customers. Birthday calls, gifts, follow-ups, etc.